1.1 Your access to and use of Holistic Community Care (“the Website”) and the Services outlined in Clause 2, are subject exclusively to these Terms and Conditions. You will not use the Website/Services for any purpose that is unlawful or prohibited by these Terms and Conditions. By using the Website/Services, you are fully accepting the Terms, Conditions and disclaimers contained in this notice. If you do not accept these Terms and Conditions, you must immediately stop using the Website/Services. 1.2 Holistic Community Care reserves the right to update or amend these Terms and Conditions at any time and your continued use of the Website/Services following any changes shall be deemed to be your acceptance of any such change(s). It is therefore your responsibility to check the Terms and Conditions regularly for any changes. 1.3 Holistic Community Care reserves the right to change or remove (temporarily or permanently) the Website or any part of it without notice and you confirm that Holistic Community Care shall not be liable to you for any loss or damage resulting from such change or removal. The Website may provide communication tools such as email, bulletin boards, chat areas, news groups, forums and/or other message or communication facilities (“the Services”) designed to enable you to communicate with others. Unless stated otherwise, the Services are for your personal and non-commercial use only. Holistic Community Care is concerned about the safety and privacy of its users, particularly children. Parents who wish to allow their children access to and use of the Website/Services should supervise such access and use. By allowing your child access to the Services, you are allowing your child access to all of the Services, including email, bulletin boards, chat areas, news groups, forums and/or other message or communication facilities. It is therefore your responsibility to determine which Services are appropriate for your child. Always use caution when revealing personally identifiable information about yourself or your children via any of the Services. If a particular Service requires you to open an account, you will be required to complete the registration process by providing certain information and registering a username and password for use with the Services. You are responsible for maintaining the confidentiality of the username and password and also for all activities that take place under your account. You agree to immediately notify Holistic Community Care of any unauthorised use of your password or account or any other breach of security. In no event will Holistic Community Care be liable for any direct, indirect or consequential loss or damage whatsoever resulting from the disclosure of your username and/or password. You may not use another person’s account at any time, without the express permission of the account holder. 5.1 Save for material that is produced and/or posted and/or transmitted by Holistic Community Support Services, you acknowledge that all information, text, graphics, logos, photographs, images, moving images, sound, illustrations and other materials (“the Content”), whether posted publicly or transmitted privately, are the sole responsibility of the person from whom such Content originated. Holistic Community Care does not control or endorse the Content and cannot guarantee the accuracy, integrity or quality of such Content and you acknowledge that by using the Services, you may be exposed to Content that is offensive and/or indecent. Holistic Community Care will not be liable in any way for any Content or for any loss or damage of any kind resulting from the use of any Content transmitted via the Services and you agree to bear all risks associated with the use of any Content, including any reliance on the accuracy or completeness of such Content. 5.3 Holistic Community Care has no obligation to monitor the Services, but shall be entitled to review materials posted to a communications facility and, at its sole discretion, to remove any material that breaches these Terms and Conditions or is otherwise objectionable. 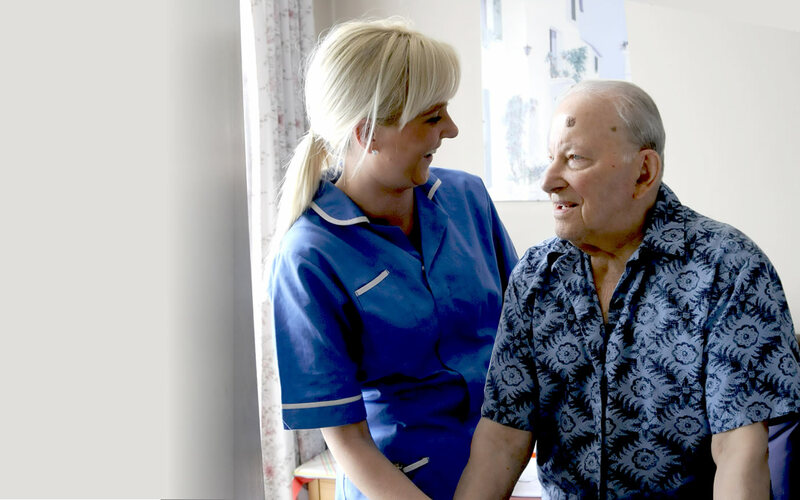 Holistic Community Care has the right to terminate your access to any or all of the Services at any time, without notice, for any reason, including without limitation, breach of these Terms and Conditions. Holistic Community Care may also at any time, at its sole discretion, discontinue the Website/Services or any part thereof without prior notice and you agree that Holistic Community Care shall not be liable to you or any third party for any termination of your access to the Website/Services. The Website/Services may include links to third party websites that are controlled and maintained by others. Any link to other websites is not an endorsement of such websites and you acknowledge and agree that Holistic Community Care is not responsible for the content or availability of any such sites. 9.1 The Website and its content (including without limitation the Website design, text, graphics and all software and source codes connected with the Website and the Services) are protected by copyright, trademarks, patents and other intellectual property rights and laws. In accessing the Website, you agree that you will access the contents solely for your personal, non-commercial use. None of the content may be downloaded, copied, reproduced, transmitted, stored, sold or distributed without the prior written consent of the copyright holder. This excludes the downloading, copying and/or printing of pages of the Website for personal, non-commercial home use only. 9.2 Holistic Community Care does not claim ownership of any materials you post, upload or submit to any publicly accessible area of the Services. However, by doing so you are granting Holistic Community Care a world-wide, royalty free, non-exclusive licence to copy, distribute, transmit, reproduce, publicly display, edit, translate or publish such Content for as long as you elect to display such Content via the Services. The licence shall be terminated when such Content is deleted from the Services. You agree to indemnify and hold Holistic Community Care and its employees and agents harmless from and against any breach by you of these Terms and Conditions and any claim or demand brought against Holistic Community Care by any third party arising out of your use of the Services and/or any Content submitted, posted or transmitted through the Services, including without limitation, all claims, actions, proceedings, losses, liabilities, damages, costs, expenses (including reasonable legal costs and expenses) howsoever suffered or incurred by Holistic Community Care in consequence of your breach of these Terms and Conditions. 11.1 Use of the Website/Services is at your own risk. The Website/Services are provided on an “AS IS” and “AS AVAILABLE” basis, without any representation or endorsement made and without warranty of any kind whether express or implied, including but not limited to the implied warranties of satisfactory quality, fitness for a particular purpose, non-infringement, compatibility, security and accuracy. 11.2 To the extent permitted by law, Holistic Community Care will not be liable for any indirect or consequential loss or damage whatsoever (including without limitation loss of business, opportunity, data, profits) arising out of or in connection with the use of the Website/Services. 11.3 Holistic Community Care makes no warranty that the Website/Services will meet your requirements, that the Content will be accurate or reliable, that the functionality of the Website/Services will be uninterrupted or error free, that defects will be corrected or that the Website/Services or the server that makes them available are free of viruses or anything else that may be harmful or destructive. 11.4 Nothing in these Terms and Conditions shall be construed so as to exclude or limit the liability of Holistic Community Care for death or personal injury as a result of the negligence of Holistic Community Care or that of its employees or agents. 12.1 All copyright, trademarks and all other intellectual property rights in the Website and its content (including without limitation the Website design, text, graphics and all software and source codes connected with the Website) are owned by or licensed to Holistic Community Care or otherwise used by Holistic Community Care as permitted by law. 12.2 In accessing the Website, you agree that you will access the content solely for your personal, non-commercial use. None of the content may be downloaded, copied, reproduced, transmitted, stored, sold or distributed without the prior written consent of the copyright holder. This excludes the downloading, copying and/or printing of pages of the Website for personal, non-commercial home use only. The contents of the Website/Services do not constitute advice and should not be relied upon in making or refraining from making, any decision.